"We did not evolve from a single cradle of mankind somewhere in East Africa." On Wednesday, scientists reported they had discovered the oldest known remains of Homo sapiens in Morocco. The bones and other remains are approximately 300,000 years old. This revelation provides new insights into the origins of humankind: a consequence of such findings would be that human beings evolved earlier than had previously believed. The fossils also indicate that despite fundamental differences in the brains of modern humans and early Homo sapiens, our faces strongly resemble those of our early ancestors. Until this remarkable find at Jebel Irhoud, the oldest human fossils only dated back 195,000 years. These new fossils make experts believe that our species evolved not in Eastern Africa (specifically near Ethiopia) where later fossils were found, but across the continent in Western Africa where modern Morocco is situated. “We did not evolve from a single cradle of mankind somewhere in East Africa,” paleoanthropologist Phillipp Gunz, a co-author of the two new studies on the fossils, told The New York Times. Before now, fossils found in different places made paleoanthropologists believe that Homo sapiens arose in East Africa and then moved across the continent. 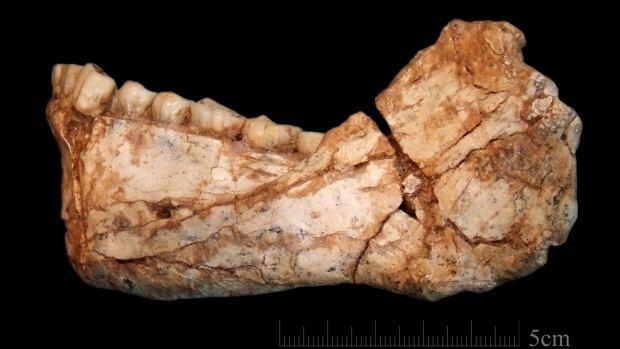 However, mysterious human fossils from other parts of Africa didn’t seem to fit in with this story, and caused scientists to wonder where they fit into the Homo sapiens puzzle. The remains discovered in Morocco will help solve these mysteries, even as it suggests new questions for further research. For example, the recent finds at Jebel Irhoud confirm that Homo sapiens had flatter faces, similar to ours today. National Museum in London paleoanthropologist Christopher Stringer speculates that the flattened faces of early Homo sapiens may be related to the advent of speech. “We really are at very early stages of trying to explain these things,” Dr. Stringer told the The New York Times. The larger, rounder brain of modern humans is a more recent development. Dr. Gunz indicates that the human brain may have evolved into a rounder shape during a later phase of human existence. Two areas of the brain in particular — the cerebellum and the parietal lobe, both toward the back of the head — seem to have adapted over thousands of years. That being said, scientists don’t yet know how the rounder brain changed how humans think. Flint blades from around the same time have been found elsewhere across Africa, and the Jebel Irhoud fossils suggest that they may have been made by early humans. Dr. Gunz and his team believe that is this is true: Homo sapiens may have evolved across the continent as a network of groups. The only way we’ll ever know for sure — and resolve other questions these findings may bring up — will be through additional research, which will require adequate funding.